The days of roughing it are over. Thanks to modern solar-powered camping gadgets, you can be one with nature without leaving the comforts of home behind. These handy solar-powered devices spare you from having to lug heavy batteries on fishing, hiking, hunting, and camping trips. Plus, as long as the sun shines, they won’t run out of energy, so you’ll stay warm, dry, well fed, and entertained for your entire adventure. Here are sixteen of our favorite sun-powered devices that you absolutely must pack on your next trip. You can easily use battery- or fuel-powered lanterns, but what happens when the batteries die or the fuel runs dry? You’ll be left in the dark, that’s what. The MPOWERD inflatable solar lantern harnesses the power of the sun to keep your tent, picnic table, and campsite lit for hours. Unique Feature: This lantern can be used as lighting or an SOS call. Choose between three settings, which include bright, ultra-bright, and flashing, to call for help or to simply light your campsite. Affordable price. You can bring this solar-powered camping lantern home for under $20. Great reviews. 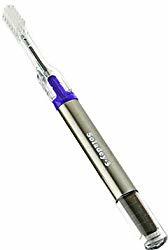 Over 600 customers have rated this gadget an average of 4.5 out of 5 stars on Amazon. Lightweight and compact construction. The MPOWERD solar lantern weighs only 4.4 ounces (less than half a pound). This makes it easy to stow away in small packs. Long-lasting charge. The built-in solar panels are rechargeable and last up to twelve hours after a seven-hour charge in direct sunlight. It’s only dark for about twelve hours at most per twenty-four hours, so you can expect steady light for at least most of the night. Pleasant lighting. 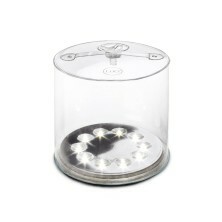 You can bask in the soft white LED light of this solar-powered lantern, not harsh, fluorescent blue illumination. Waterproof and resilient design. The lantern is waterproof and shatterproof, so you can throw it in your pack and go adventuring without a worry. Hanging strap. The strap included on the top of this lantern allows you to suspend it from the top of your tent or a clothesline in your campsite to provide better lighting. We honestly can’t find any nits to pick with this solar camping lantern—it’s that spectacular. When you’re backpacking in and out of campsites, every pound and piece of gear matters. Instead of carrying around a standard backpack without any bells or whistles, bring ECEEN’s solar charger backpack! This incredible backpack holds all your stuff in one lightweight, weather-resistant bag and charges your electronics. So if you can’t part with your cell phone and tablet but don’t want to haul heavy batteries to power a docking station, consider this backpack. It’s pretty killer. 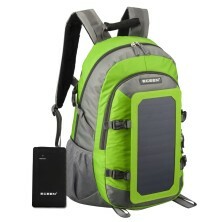 Unique Feature: ECEEN’s solar charger backpack is a one-stop shop for charging all your electronics. It can recharge any mini-USB devices, including cell phones, Bluetooth speakers, GPS devices, and more. Powerful capabilities. As long as you’re in the sunlight, ECEEN’s camping backpack will recharge its seven-watt solar cells to keep all of your electronics alive. In-country manufacturing. ECEEN’s solar cells are made in America, so you can feel good about supporting the local economy and your penchant for the great outdoors. Multiple color choices. Who says you can’t look stylish while out on the trail? Choose between eight vibrant color combinations to represent your style. The bears might not care, but fellow campers will appreciate your aesthetic. Great reviews. ECEEN’s solar-powered backpack has over 100 customer reviews and an overall Amazon rating of 4 out of 5 stars. So if you don’t take our word for it, you can trust the masses. Ample storage. This backpack fits a heap of gear and has a ton of different compartments to help with organization—all while giving you the added bonus of serving as your personal Energizer Bunny. Water-resistant and resilient design. Whether you go fishing, hiking, hunting, or camping, ECEEN’s solar-powered backpack is meant to withstand harsh elements. The material is both water-resistant and rip-resistant, so you can rock climb, scramble, and do whatever other outdoor activities you love most, all while toting this pack around. Somewhat high cost. Expect to pay close to $100 or more for this backpack. Although, when you consider all it offers, that’s not all that steep. If you only have the budget for one solar-powered camping gadget, ECEEN’s solar backpack will give you the most bang for your buck. Nothing quite wakes you up like jumping into a frigid lake or stream to wash off sweat and grime from camping. But nothing makes you feel like you’re at a four-star resort in the wilderness like Coleman’s solar shower. This portable shower pouch enables you to get clean under a warm and inviting waterfall. All you have to do is fill the bag and leave it in the sun. 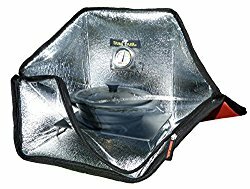 The bag’s material absorbs solar heat and effectively warms the water to a pleasant temperature. Unique Feature: Coleman’s solar shower is the most affordable of any other portable shower—costing under $10 compared to the $135 of most pressurized solar shower models. Large capacity and low flow. With Coleman’s solar shower, you don’t have to fret about using up all the water in one go. Its narrow hose releases liquid slowly enough to ration water and still get a decent spray, so you can get clean without rushing or worrying about running out of hot water (or fighting with fellow camp mates about who gets to shower first). Quick heating. 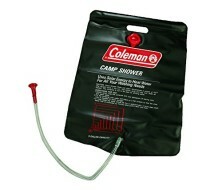 Even on chilly days, Coleman’s solar shower heats water in a matter of hours, so a warm shower is never far away. Convenient handle. The handle on the top of this solar shower allows you to hang it from a tree branch or nail, so you can let gravity do its thing while you rub-a-dub-dub. Great reviews. With nearly 600 Amazon customer ratings, this solar-powered camping device earned a 4 out of 5 stars. That’s pretty stellar. Substantial weight. Because this solar heater from Coleman holds five gallons of water, it can get mighty heavy. One gallon of water weighs almost eight and a half pounds, so when full, this solar-powered water heater weighs close to fifty pounds. Plan smart when it comes to pitching your campsite so you don’t have to haul water back and forth between bodies of water and your home base. What was that sound? Could it be a bear or just a fallen branch? If you’re in the dark wilderness, you need a reliable flashlight. The ECEEN solar flashlight will be your best friend for situations like these, since you can power it during the day and use it for hours at night—whether that’s just to find supplies, find your way to the bathroom, or check for animal intruders. Unique Feature: When switched off, ECEEN’s solar flashlight holds a full charge for up to three years. So a few cloudy days during your camping trip won’t leave you in the dark (especially if you use the solar-powered backpack we featured above to manually recharge this flashlight). Brilliant lighting. After a round of ghost stories, illuminate a dark path to the bathroom or your tent with this incredibly bright solar flashlight. On a full charge, this flashlight casts its 150 lumens over 160 feet. Long-lasting power. Charge your flashlight completely to use it constantly for up to four hours. That’s plenty of time to pitch tents in the dark or put dinner away so critters don’t get into it. Great Reviews. 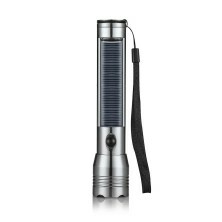 With over 180 Amazon customer ratings, this solar-powered flashlight earned a 4.5 out of 5 stars. Affordable price. ECEEN’s solar flashlight retails for about $30, but you can purchase it for half of that on Amazon. AC or solar charging. Use the power of the sun or an AC adapter to charge this solar flashlight in between uses. With the AC adapter, you can charge this flashlight in under five hours; in direct sunlight, you get a full charge in eight. Resilient design. The aluminum exterior isn’t flimsy. Jostle this flashlight around in your bag or drop it by accident, and it’ll be just fine. Poor comparison to battery-operated flashlights. Battery-operated flashlights can be on for up to fifteen hours before dying, which is a bit more impressive than four hours. 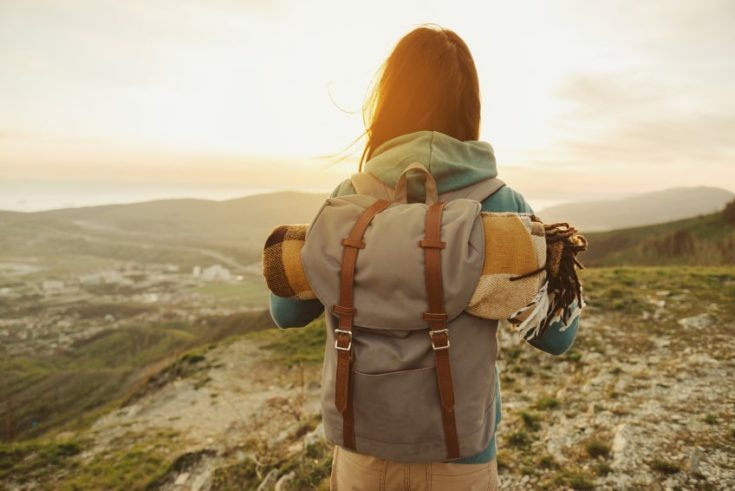 Although, if you’re going on a multi-day camping trip, you’ll have to bring along the extra load that batteries demand—not something most backpackers want to carry. You drink from a faucet without question, but what about that crystal clear stream water? While it might look drinkable, untreated water can carry parasites like giardia (which cause diarrhea, fever, and worse if ingested) as well as pesticides and a slew of other pathogens. This solar-powered Puralytics water purifier is your answer and preventative for all that. It’s also a must-have camping gadget to carry for emergencies. Unique Feature: This is the only solar-powered water purifier that meets EPA standards. Effective and quick water treatment. 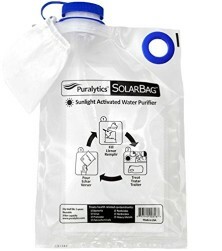 Fill this bag with water from any fresh water source, put it in the sun, and enjoy water that is clean of 99.999% of all chemicals, viruses, bacteria, and protozoa in just two hours. Useful filter. Not all water is free of debris. If you scoop up silty, sandy, or downright icky water, the built-in mesh filter will keep all of that out of your mouth. Plus, the filter is reusable and eco-friendly. Large capacity. Purify up to three liters—or 100 ounces—of water in this gadget. Since the average adult only needs to drink about sixty-four ounces of water per day, that’ll be plenty for one person even on hot and exercise-heavy days. Reusable design. As long as you don’t puncture the bag, you can reuse it over and over again on your camping trips. Great Reviews. This solar-powered water purifier has an average rating of 4 out of 5 stars and about 30 Amazon reviews. Somewhat high cost. List price is around $100 for this Puralytics solar-powered water purifier, but Amazon has an even better price. Stop and smell the roses while you camp with the help of the Moultrie solar-powered charger. It’s designed to charge Moultrie cameras on long trips so you don’t have to miss a minute of captivating footage on your adventure. Unique Feature: The Moultrie solar-powered charger is compatible with every Moultrie camera as far back as 2007—so you can film wildlife and precious camping moments with practically any model you own. Included accessories. Brackets come mounted on this solar charger, so you can securely hang it on a tree to power your camera and surreptitiously film skittish game and animals. Great reviews. This solar panel has a rating 4 out of 5 stars on Amazon and more than 130 customer reviews. Long cord. The ten-foot cord makes it easier to place this solar panel in the sun while it’s attached to the camera. Battery storage. The twelve-volt battery provides great backup for power storage when the sun isn’t shining. Few other charging solar panels have batteries, so this is pretty nifty. Limited compatibility. Unless you have a Moultrie brand camera, you won’t be able to use this solar panel. After a long hike, who wants to take a swig of lukewarm water? Probably few. When you bring ENGEL’s solar-powered cooler, you’ll have ice cold beers, sodas, juices, and whatever other beverages you love to guzzle to quench your thirst. Not to mention, this cooler keeps perishable foods at safe temperatures so no one gets sick. Unique Feature: The ENGEL solar-compatible cooler is extremely efficient in terms of energy usage, typically consuming only a few amps per hour. That’s less than the energy required to power interior lights in most cars. Multiple temperature options. Keep ice solid or liquids cold with five different temperature choices, ranging from light refrigeration to solid freezing. This is particularly handy for hunters or families who need to store lots of perishable items. Great reviews. 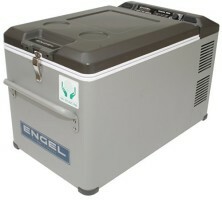 ENGEL’s solar-compatible cooler has two dozen customer reviews on Amazon and a rating of 4.5 out of 5 stars. Solar or electric charging. When available, you can use electricity from a generator, boat, car, or camper to power this fridge. Separate solar panel. ENGEL’s solar compatible cooler doesn’t come with its own solar panel; you’ll have to buy one in order to keep this cooler going where electricity isn’t present. High cost. Comfort comes at a price. This cooler costs more than $800. Although, this is a pretty standard price tag for an accessory like this. Create your perfect campsite soundtrack and play it loud with the help of Eton’s solar-powered speakers. Eton speakers come with a built-in solar panel and chargeable batteries, so you can dance, chill, and sing along to your favorite tunes wherever you are. Unique Feature: On top of allowing you to play music anywhere there’s sunshine (sorry, spelunkers), Eton’s solar-powered speakers also charge your phone! Dual speakers. With two full-range stereo speakers, sound quality is top-notch—it’s also loud enough to keep bears and other critters far away from your campsite. Long battery life. When fully charged, Eton’s solar-powered speakers play music for eight hours—and sometimes longer! Bluetooth compatibility. Play music through your smart device and tap into Spotify playlists or other music apps. Affordable price. At under $60, these solar-powered speakers are a steal. Lightweight and compact construction. Eton’s solar-powered speakers barely weigh two pounds and span fewer than six inches in width and length. These must-have camping speakers won’t take up too much room in your pack. Water-resistant and resilient design. We wouldn’t recommend taking a dip in the lake with these solar speakers, but they won’t die on you if they get caught in light rain. Great reviews. Even with over 1,200 customer reviews on Amazon, these speakers have an average rating of 4 out of 5 stars—that’s quite a collection of rave reviews. Multiple color choices. Match your style by choosing between all-black or lime-green and black speakers. The downside? There are no downsides. These Eton solar-powered speakers are on point. Need your electronics in the great outdoors? Then you have to bring the BW Distributors solar-powered USB charger with you on your next camping expedition. The solid construction and no-frills style make it the perfect companion for campers, hikers, bikers, fisherman, and more who like to carry cell phones and other electronics with them wherever they go. Unique Feature: Dual USB ports mean you can charge multiple devices at once. Lightweight construction. Don’t worry about wasting space in your backpack. The SPC12K solar charging station weighs a little under half of a pound and is the size of a smartphone. Powerful capabilities. When the SPC12K is fully charged, it can charge up to five cellphones before it needs to spend more time under the sun. Affordable price. The $50 list price for this charging device isn’t too steep, but you can get it even cheaper than that on Amazon. Water-resistant design. A little water won’t harm this charging station. Just try to keep it from falling into a stream! Additional light. This-solar powered charging dock comes with a mini light, so you can use it as a flashlight on stormy days, on dark nights, or for emergencies. Great Reviews. This solar-powered charger has an Amazon rating of 4 out of 5 stars—with nearly ninety customer reviews. Solar or electric charging. Choose to charge this device by the sustainable power of the sun or through a USB port connected to an outlet. One-year warranty. The one-year, no-questions-asked warranty is a nice extra bonus. Although, you probably won’t need it, since the long-lasting battery can be recharged up to 800 times. Only one color. We hope you like hunter orange because that’s the only color you have to pick from. At least you won’t lose it in the greenery, right? Want one device that does it all? Goal Zero’s ultimate solar-powered camper starting kit comes complete with everything you need to run a basic campsite. It looks like a magic wand and pretty much is with its charging capabilities. Unique Feature: Goal Zero’s ultimate solar-powered camper starting kit can charge any small electronic device that’s compatible with a USB adapter—like your GoPro, cell phone, and GPS tracker. Fast charging. In full sun, Goal Zero’s solar power charger is fully charged in four hours. Fan attachment. A fan attachment comes with your Goal Zero charging station, so you can cool down when you break a sweat. Added flashlight. Light up the night with the included flashlight head. It lights up to 110 lumens, so it’s plenty bright enough to help you find your way to the loo or dig something out of your pack. Solar or USB charging. Use the sun’s rays or a USB cable connected to an outlet to repower the kit. It’s always nice to have more than one charging option. Tangle-free cord. The USB cord that comes with this device was made to be tangle-free. That’s right—you won’t have to wrestle with the Kraken when removing it from your pack. Great reviews. With over fifty Amazon reviews, this product earned a rating of 4.5 out of 5 stars. Somewhat high price. 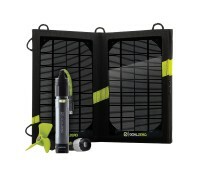 Goal Zero’s solar charger retails for over $100, which ventures into costly territory. However, Amazon sells it for around $60. Poor compatibility with larger electronics. You won’t be able to charge a laptop with Goal Zero’s campsite charger, but it’s perfect for phones and other small devices. A lot of people head off the grid to escape technology. This Goal Zero Yeti generator helps you bring your favorite electronics with you. Unlike the other solar-powered charging stations on this list, this model is a bit heftier, so it’s best used by people who have campers or don’t plan on parking far from their campsites. Unique Feature: The Goal Zero Yeti 150 Solar Generator can power laptops and larger electronics—so you can watch Netflix while camping. How sweet is that? Solar or electric charging. Recharge your Goal Zero Yeti solar generator with grid electricity or the power of the sun. Lots of adapters. Charge practically any electronic with Goal Zero’s Yeti solar-powered charging station. It comes with a standard plug, USB cable, or 12-volt adapter. Battery indicator light. You can see exactly how much juice you have left in this generator thanks to a light on the front of the device. That means you’ll never be surprised by a dead generator battery. Great reviews. Over 220 customers on Amazon have given this generator an average of 4.5 out of 5 stars. Large power capacity. 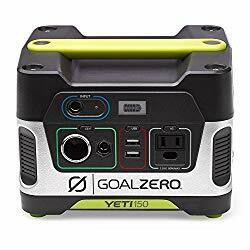 After spending seventeen hours in full sun, your Goal Zero Yeti generator will be 100% charged—enough to completely repower two laptops or smaller devices like SLR cameras. Small yet mighty construction. Surprisingly, this solar generator is tiny. It’s only about eight by seven by six inches and weighs twelve pounds. High cost. This solar-powered generator costs around $200, but with responsible care, it should last you for years. It’s not always possible to strike a match and start a wild bonfire, especially during the height of forest fire season. That doesn’t mean you should eat cold food during your hiking trip—not if you bring this portable solar oven from Sunflair, anyway. Unique Feature: Instead of solar panels, this portable oven uses special material to trap the heat of the sun and create a hotter-than-heck oven. Working thermometer. The oven-safe thermometer built into the interior of Sunflair’s solar oven tells you exactly how hot it is, making it easier to cook meat properly and avoid burning dinner. High heat. This oven can heat up to 285 degrees Fahrenheit, which is about the temperature of a crockpot. You can simmer soups, slow cook meat, and dry produce all in this portable oven. Convenient pot. The pot that comes with this solar oven is big enough to cook dinner for two. Trivet included. You’ll also get a handy trivet with this solar oven to keep hot pots off the ground. Great reviews. This oven has more than three dozen Amazon reviews and a rating of 4.5 out of 5 stars. Collapsible form. Fold the oven up in one or two seconds once you’re done. If you need to get out of a campsite quick and hit the road, you can. Fire-free cooking. Unless you leave this hot oven close to something flammable, you won’t have to worry about an open flame or causing a fire. Charitable results. When you buy a product from Sunflair, part of the proceeds get donated toward green cooking materials across the world. Multiple color choices. Choose between red, green, and other colors to match your campsite’s style. Somewhat high cost. For a bunch of tinfoil (or what looks like it) it’s kind of surprising this solar oven costs closer to $80. However, it’ll help you make a home-cooked meal even when you’re nowhere near home, and it will last for years. You may venture out of cell service range when you’re out in nature. That’s where this solar-powered AM/FM radio comes in handy. If there’s an emergency, weather alert, or just some great tunes you’d like to listen to, you can do it with this radio that’s powered by the sun. Plus, it has a few more functions that make it an essential solar-powered camping device. Unique Feature: You can charge this device with the sun, through a USB port, or with a hand crank! 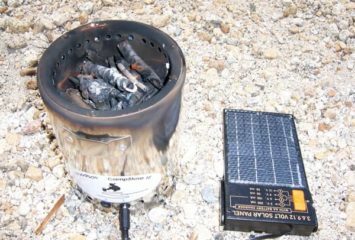 No other solar-powered camping device on this list has all three options, meaning you’ll never run out of energy for this cool gadget. Added flashlight. 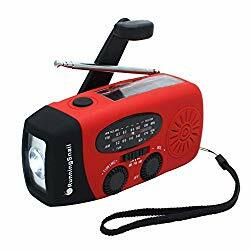 In addition to serving as a solar-powered radio and small electronic charging station, the RunningSnail solar radio is also a flashlight. It’s like MacGyver made it himself. Powerful capabilities. Just one minute of hand-cranking this device will get you five to ten listening minutes. We love that it doesn’t require much manpower at all—or any if you use the sun. One-year warranty. If this gadget breaks within the first year, RunningSnail will replace it with a new one. And if you don’t absolutely adore it within the first forty-five days of owning it, you’ll get your money back. There’s no risk in trying this solar-powered radio. Several sizes. Depending on your needs, you can upgrade to a solar-powered radio with a larger capacity so it will last longer in between charges. Compact construction. You won’t even notice the space this radio takes up because it’s under half of a pound and only five inches long. Affordable price. At retail price, RunningSnail’s solar-powered radio costs about $50. However, you can find it on Amazon for half of that. Great reviews. There are over forty customer reviews on Amazon for this radio, and it has a rating of 4.5 out of 5 stars. No color selection. Unless you upgrade, this radio only comes in red, but that’s a seriously small nit to pick. When you go on an outdoor adventure, your phone may easily be dropped in a lake, off a mountain, or on the trail. But if you have the SLXTREME solar-powered cell phone case, you can keep your phone safe, dry, and powered during your whole trip. As long as you have service, you’ll be able to chat. But if you run low on service bars, you can at least listen to music, take photos, or play games on your phone when you need a break from roughing it. 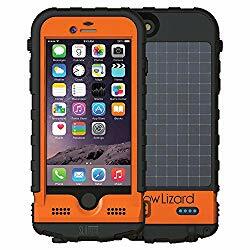 Unique Feature: While other solar-powered devices like the SPC12K simply charge your phone and other devices, the SLXTREME case houses your phone and charges it at the same time. Several sizes. Since smartphone sizes change with the wind, SLXTREME cases come in multiple sizes to accommodate different phones. Although, it seems this brand accommodates only iPhones. Fast charging. One hour of direct sunlight equates to ten minutes of cellphone power. This is ideal for emergency situations (knock on wood) when you need your phone quickly. Resilient construction. Drop your phone from six feet and it’ll still be safe and sound within the confines of this case. 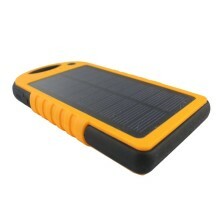 SLXTREME’s solar-powered case is sturdy and can stand up to harsh weather, adventure, and general camping clumsiness. Waterproof design. If you catch a record-breaking trout, you’ll want to have proof, right? But it’s risky business taking your phone out of your pocket with your slippery hand while you’re in the water. With SLXTREME’s solar-power charging case, you won’t have to worry about that. It’s waterproof for up to six and a half feet. Constant power. The “trickle charge” of the SLXTREME solar-powered case keeps your phone on a steady drip of electricity while it’s exposed to the sun. You won’t have to wait to charge the case before recharging your phone. Easy removal. This solar-powered cell phone charging case has a quick release latch so you can get your phone in and out easily. High cost. Prepare to spend anywhere from $150 to $300 for this solar-powered case. If you consider how much it would cost to replace a phone, this isn’t too bad. Limited compatibility. Snow Lizard makes a number of cases meant for iPhone 4s and up, but we’re not sure if they accommodate Samsung or other Android devices. Don’t let your hygiene go to the dogs when you’re camping. Instead, bring a solar-powered electric toothbrush to keep your teeth pristine. Unique Feature: This is the only solar-powered toothbrush we’ve found. Affordable price. Get this solar-powered toothbrush for under $20. No need for toothpaste. Using toothpaste in the wilderness isn’t always easy, but you won’t have to! This solar powered toothbrush is meant to be used sans toothpaste. The vibrations of the brush remove plaque and tartar all on its own. One less thing to pack, right? 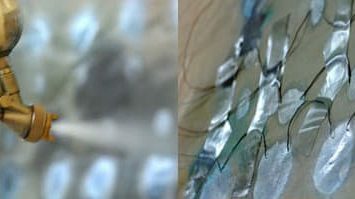 Replacement brushes. When you order this toothbrush, you’ll also get a package of four replacement heads, so one purchase should last you a while. Multiple replacement heads can also accommodate you and your camp mates. Multiple color choices. Choose from red, blue, orange, and purple toothbrushes if you’re persnickety about your toothbrush style. Easy power. This toothbrush works much like a solar-powered calculator—it operates when exposed to any light source. Unfortunately, you won’t be able to use it in the dark, so brush before the sun goes down. No battery. Like we mentioned, this toothbrush has to be exposed to light to work, as it doesn’t have a backup battery or solar power storage. If you camp in the middle of nowhere for a long period of time, your car battery might die after several days of inactivity. That’s a major buzzkill. 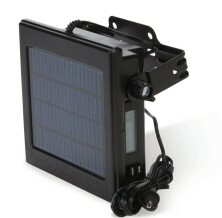 Keep this solar charger plugged into your car and in a place where it gets plenty of sun. With enough sunlight, it can maintain your car battery’s energy levels so you can easily get back to civilization. Unique Feature: Use this solar-powered car charger with automobiles, motorcycles, RVs, boats, and more. Water-resistant design. Don’t worry if this solar-powered car battery charger gets a little rain on it. It’ll be just fine. Multiple charging options. The ALLPOWERS car charger comes with battery clips and a cigarette lighter plug. This means you can attach the charger directly to the car battery or merely plug it into the cigarette lighter. Handy suction cups. Hang this solar charger on your windshield with the help of suction cups that come with your order. That way, it’ll always be exposed to the sun while staying away from a hot dashboard. Affordable price. Bring this solar-powered car charger home for under $50. We’ve seen it as low as $20 on Amazon. No reverse charge. 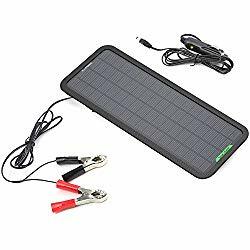 Because this solar charger is built with a special component, your car battery can stay connected to it without losing any energy. Eighteen-month warranty. You’ll get an eighteen-month warranty with this product—much longer than most. Great reviews. After over 740 customer reviews, this solar charger has an Amazon rating of 4 out of 5 stars. Only battery maintenance capabilities. This charger is meant to maintain the battery’s energy level first and foremost. In other words, it won’t necessarily jump or top up a car battery’s charge. When it comes to blazing your own trail, you want a power source that you can rely on. Batteries die and get lost, but the sun is always shining—transmitting powerful, transformable, and clean energy to you and your solar-powered devices. Go forth, noble camper, with these top sixteen solar-powered camping gadgets. They’ll give you the assurance that you have the support you need for an amazing outdoor experience. Happy trails! Great advice! Never thought that there will be other solar powered equipment’s just like what you mentioned. Do you mind me asking how much will the solar powered backpack will cost? Been planning to hike and camp next weekend and I’m thinking of buying one as well as the other items that you mentioned. Nice article, keep sharing! I like to try the Solar-Powered Toothbrush. Brushing teeth under the sun. Thanks for this green ideas. Great list! Another good brand that I found for camping gears is roadeavour.